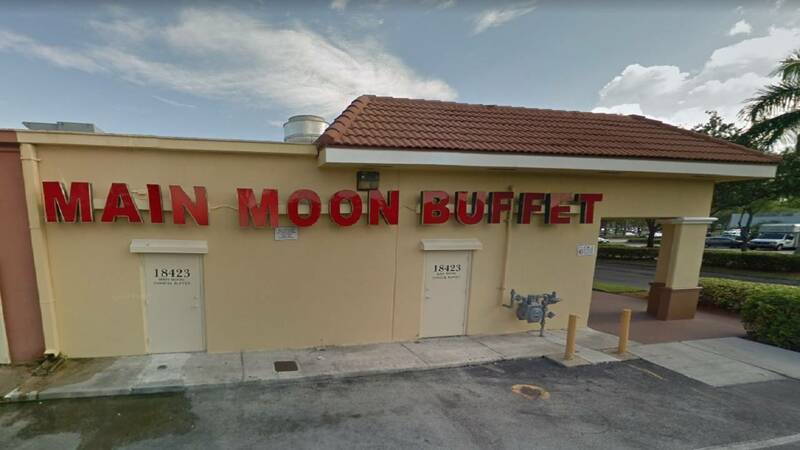 CUTLER BAY, Fla. - Inspectors were at Main Moon Buffet in Cuter Bay last week based on a complaint. And among the violations was something we've never seen before. The inspector found kitchen staffing using a construction drill as a mixer. According to the inspection report, employees were using the drill to mix batter. While it may be innovative, it's against the rules and possibly a safety and health hazard. The Occupational Safety and Health Administration has different guidelines for commercial kitchen equipment and construction equipment. And the Centers for Disease Control and Prevention warns about concerns with equipment used during food processing that may be contaminated with lead. Brio, in The Falls, was also ordered shut last week after an inspector found a roach issue. There was also mold in the ice machine and slime on the soda gun. Meanwhile, 13 violations were found at Wolfsen Cafe in Sunny Isles Beach. The inspector noted roaches near clean utensils. No restaurants in Broward County were ordered shut last week. All the places mentioned have been allowed to reopen following an ordered cleanup and re-inspection. "Roach activity present as evidenced by approximately 10 plus live roaches found around dish machine." "Stop Sale issued on potentially hazardous (time/temperature control for safety) food due to temperature abuse. Observed veggies sushi rolls and imitation krab meat sushi rolls in front buffet line with no time marked. Operator was not able to determine the time it was made." "Employee handled soiled equipment or utensils and then engaged in food preparation, handled clean equipment or utensils, or touched unwrapped single-service items without washing hands. Observed dishwasher going from dirty dishes to clean utensils and not washing hands." "Displayed food not properly protected from contamination. Observed containers of sauce, wasabi, ginger, on front buffet counters not under the sneeze guard not properly covered exposed to the elements **Repeat Violation**." "Interior of oven has heavy accumulation of black substance/grease/food debris. Observed interior of oven soiled with encrusted debris. **Repeat Violation**." "Food-contact surface not smooth and easily cleanable. Observed construction drill used as a mixer to mix batter. **Repeat Violation**." "Cutting board has cut marks and is no longer cleanable. Observed round brown cutting board in disrepair stored on a shelf in kitchen. Operator discarded it. **Repeat Violation**." "Roach activity present as evidenced by live roaches found. Observed 3 live roaches on the second floor storage room, under soda machine syrup boxes rack. Storage room has chemicals and electric panel, single service items, pots, plates, and dry food. Observed 8 live roaches under broiler stand in cook line , next to hand sink." "Soda gun holster with accumulated slime/debris." "Accumulation of food debris/grease on food-contact surface. Can opener, microwave, oven in use and oven not in use." "No proof of required state approved employee training provided for any employee." "Potentially hazardous (time/temperature control for safety) food cold held at greater than 41 degrees Fahrenheit. Brussels sprouts (60°F - Cold Holding); lobster (52°F - Cold Holding); beef (50°F - Cold Holding); cheese (59°F - Cold Holding) in reach in cooler by grill. Operator moved to walk in cooler. sweet potato (47°F - Cold Holding); half and half (46°F - Cold Holding); butter (46°F - Cold Holding); in walk in cooler. Operator put ice." "Roach activity present as evidenced by live found. Observed approximately 4 live roaches between kitchen wall and kitchen preparation table where clean kitchen utensils are kept at the main kitchen area. Observed approximately 1 live roach on top of preparation table near walk in cooler door at main kitchen area." "Potentially hazardous (time/temperature control for safety) food hot held at less than 135 degrees Fahrenheit or above. Observed poached eggs on top of preparation table held at room temperature, at a temperature at 80°F, as per operator for less than 4 hours, operator placed them inside walk in cooler." "Accumulation of black/green mold-like substance in the interior of the ice machine. Located behind front counter."